Ecor Pro has a history of supplying quality products to the retail, wholesale and to major brands worldwide. Ecor Pro prides itself on designing and building quality products. The manufacturing quality of air treatment & catering products for both home & industrial use is perhaps second to none. 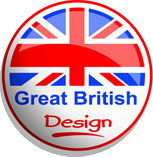 Design is by our highly experienced UK engineers who have developed products for some of the market leaders of air conditioners, heat pumps, home dehumidifiers and of course industrial dehumidifiers around the world. Ecor Pro's products have been sold under many high street brands as well as completely unique designs made for our customers from a concept idea & a blank sheet of paper. Ecor Pro's branded units are industrial air treatment products used for flood drying, industrial process or protection of warehouses, factories garages etc from the harmful affects of excess moisture. 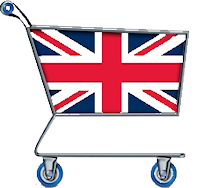 Products are sold from America and even to China but they are all designed in England and largely built in China & England. Ecor Pro is known for quality but 90% of our products are sold as own brand. Sometimes specific models are created for specific clients or simply own branding domestic products as well as industrial. Provic & Katlan branded domestic portable air conditioners, fly killers, air cleaners & dehumidifiers have a solid reputation in the retail market. Unique designs that have innovative design at very affordable prices being built to our design and tooling in China. Naomi Grills is the Ecor Pro brand for professional catering equipment sold to wholesalers across Europe being very much of the highest quality. Made in Turkey to our own design, specification and of course tooling. Using Gas & Electric modes of heating, our Doner Kebab, Salamander & Shawarma grills are the envy of the market. Our new Robot kebab Grills are a true innovation. Toyotomi, Kero Sun, Qlima & Zibro Branded paraffin heaters are internationally well known. Our joint partnership with the Japanese manufacturer allows us to distribute the highest quality paraffin heaters, high wall air conditioners, portable air conditioners, domestic dehumidifiers, electric panel heaters and air cleaners. Information is shared by Ecor Pro engineers to jointly develop the next generation of home dehumidifiers together. The Zibro brand is own by Toyotomi and is a sign of excellence. We feel at Ecor Pro we can offer our international clients both unique products designed specifically for them or products adapted from our range to their own particular needs. Alternatively, our standard Branded ranges have the definite reputation for Quality. With presence in The Netherlands, England & China we feel we can offer you the right service and right cost effective product from our portfolio and keep costs low to give quality products at reasonable prices. Offices in The Netherlands, UK & China. Holland is our head office & small items warehouse (large items held at third party warehousing). China sourcing, factory assessment, sample coordination and inspection while the UK has design & industrial item inspection.